Last year, Charlie Bergevin and Brian Cristol, co-founders of Uber’s trucking logistics business Uber Freight, heard Reid Hoffman say Turvo had some of the best technology he had ever seen. Frustrated with the direction Uber Freight had taken, they called up Turvo’s founder and chief executive officer Eric Gilmore. It wasn’t long before offers were on the table and now, they’ve joined Turvo full-time. Cristol as head of enterprise partnerships and Bergevin as an enterprise partnerships executive. Bin Chang, a founding engineer at Uber Freight, is joining Turvo, too, a move I’m told Cristol and Bergevin were unaware of until they’d already accepted roles at the venture-funded startup. Chang begins Feb. 11. Cristol and Bergevin were Uber’s first B2B sales hires when they joined the ride-hailing firm in 2016. Tasked with finding product market fit for Uber’s final-mile businesses under the ‘Uber Everything’ initiative, they began learning about the truckload transportation and logistics industry. That’s when they linked up with Curtis Chambers, Uber’s long-time director of engineering. Together, the trio pitched their idea for a logistics business unit within Uber to then CEO Travis Kalanick. Today, Uber Freight has roughly 750 employees and $1 billion in revenue. While the loss of two of its key dealmakers, who established relationships with Uber Freight’s Fortune 1000 customers, is cause for concern, Cristol and Bergevin suggested the unit is a rocket ship waiting to take off. So why are they leaving? The pair told TechCrunch they simply don’t feel like they are solving enough of the key issues plaguing the industry, particularly legacy systems. Uber Freight, for its part, focuses on freight brokerage, optimizing for top-line revenue. 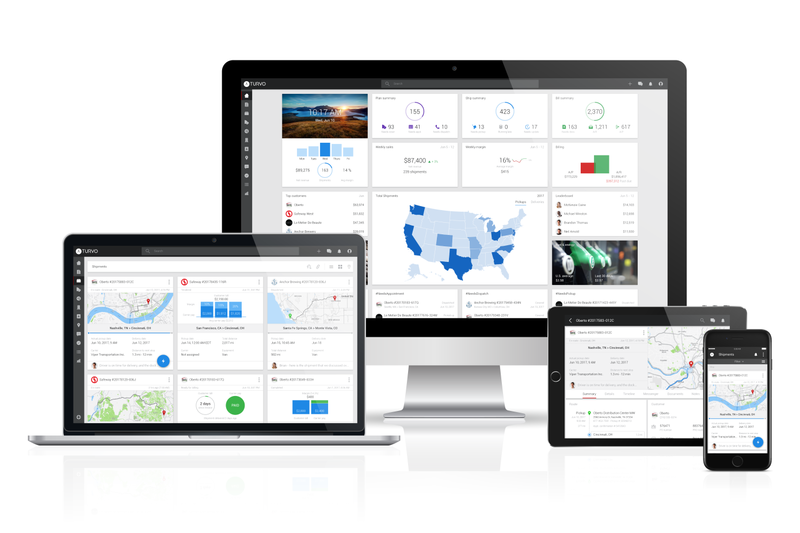 The business automates the backend operations that exist in transportation and truckload brokerage today, aggregating trucking fleets via the Uber Freight app and connecting drivers with shippers. Turvo, on the other hand, works across the supply chain. The company, which has raised a total of $88.6 million at a $435 million valuation, according to PitchBook, helps shippers, brokers and carriers work together in real time using a software interface on their desktops and mobile phones. Turvo emerged from stealth two years ago with a $25 million Series A led by Activant Capital, with participation from Felicis Ventures, Upside Partnership, Slow Ventures and more. In November, the startup closed a Series B funding of $60 million led by Mubadala Ventures. Cristol and Bergevin officially began work at Turvo last week.